Online casinos offer different types of bonuses to attract new and retain players. The bonuses differ in amount and percentages. However, there is always a catch, players should fulfil all the necessary requirements to claim their reward. Each type of bonus has its own Terms and Conditions attached to it, or online casino bonus wagering. Usually the larger the bonus, the more the requirements. This is the case with online casinos to avoid bonus abuse. Every internet casino player should understand fully the online casino bonus wagering requirements. A wagering requirement is a multiplier or the number of times a player has to play through a bonus before being able to withdraw any winnings. Online casino bonus wagering requirements differ with types of bonuses and amounts. The key thing about bonuses is that you have to accept and adhere to wagering requirements. This is regardless of whether it is either a welcome bonus, reload bonus, referral bonus, high roller bonus or no deposit bonus. After accepting the wagering requirements it means that the player must play at the online casino until the funds can be withdrawn. 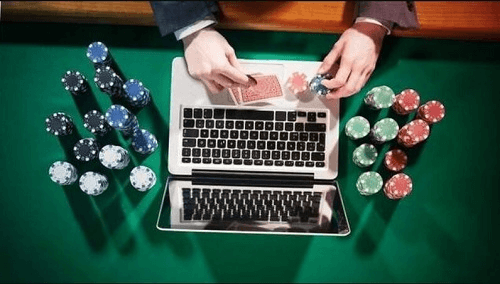 Online casinos must ensure that the requirements are clearly stated and displayed for all players to see. Players should be not be surprised by the requirements that is why it is very important to read the Terms and Conditions before accepting any type of bonus. The best South African online casinos list the wagering requirements or Terms and Conditions of every bonus. Bonus wagering is meant to eliminate the risk of casinos losing money through bonus when the players do not even play at the online casino. This is called bonus abuse. For instance, if a casino rewards you with a R100 casino bonus with a 10x wagering requirement. It means that you need to wager (R100 x 10) R1000 on entitled games before you become able to withdraw winnings you’ve gained. The more you win the quicker you’re able to reach the total in wagers. One important thing to know is that some bonuses are eligible for certain games, therefore, to clear the bonus you must play the specific games. Some online casinos have early withdrawal penalty. You may end up losing your bonus if you try to make a withdrawal before fulfilling the wagering requirements. Learn more about the best casino bonuses for real money South African players.